Contact the High Rim Trail Association and find out how to get your High Rim Trail Bumper Sticker. Extra Extra, Read All About It! 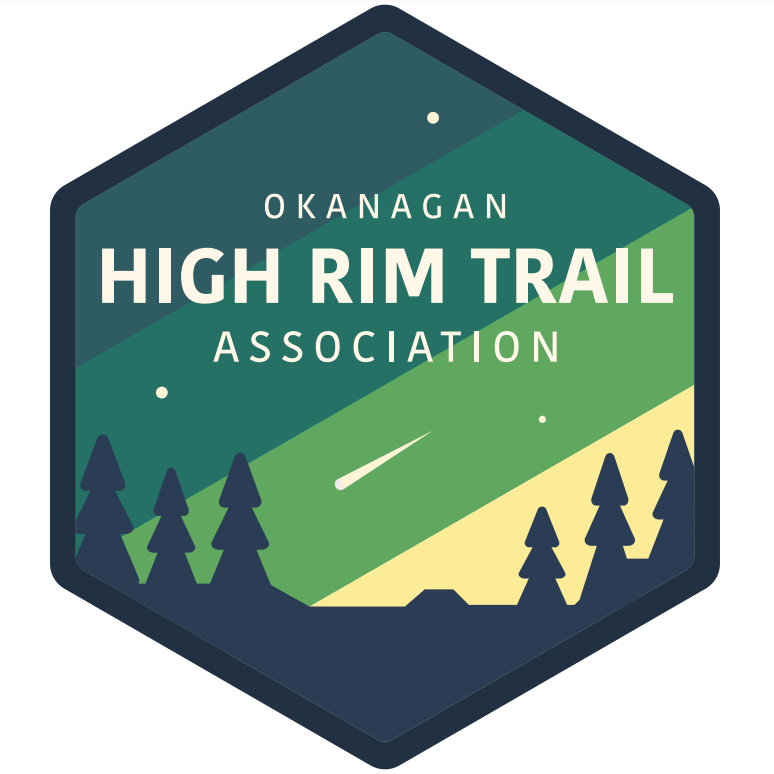 The Okanagan High Rim Trail Association has been born! A group of hard working enthusiastic outdoors men and women have been keeping the High Rim Trail open for years now. Having an official incorporated non-profit organization allows them to lobby for funds to provide a safe working environment and fulfill many more requirements to complete the onerous task of clearing and marking the trail every year. Learn more about the High Rim Trail Association and join the efforts that are providing this unique recreation corridor from Kelowna to Kalmalka Lake.